Last week I got together with some local friends for a fun evening of sharing photo editing tricks. #bloggerlife Ha! The hostess served up a yummy batch of rosemary infused lemonade with her simple appetizers and it was so refreshing. I had honestly never thought to combine those two flavors before but it made for such a fun twist. The thing about lemonade though is that it requires so much sugar to make it! I’ve never really bothered making it from scratch and generally avoid buying it from the store because it just seems too calorie heavy for what it is. I’d rather save those calories for wine or dessert. 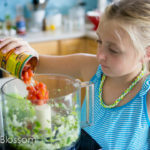 Then I got to thinking about the SPLENDA® Naturals Sugar & Stevia Sweetener Blend sitting in my pantry and my new favorite citrus squeezer in the tool drawer. 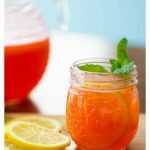 I thought it would be fun to test out a new recipe for homemade lemonade that’s lighter than the usual method. It’s been so hot here in the Carolinas, it would be nice to have a new option to my beverage repertoire. Peaches are all over the fruit stands here right now and I’m always looking for new ways to use them. I wanted to give this lemonade an extra special southern twist. Once I peeled and roughly chopped up 2 large juicy peaches, I added them to my sauce pan with some water, 6 tbsp of SPLENDA® Naturals Sugar & Stevia Sweetener Blend, and a fresh sprig of rosemary. The mixture comes to a boil which helps soften the peaches and release their juice as well as infuse the entire mix with a hint of rosemary. Once it has cooled, I poured the mix into our blender to process it until completely smooth. I poured it through a sieve to remove the pulp and stirred in the freshly squeezed lemon juice. 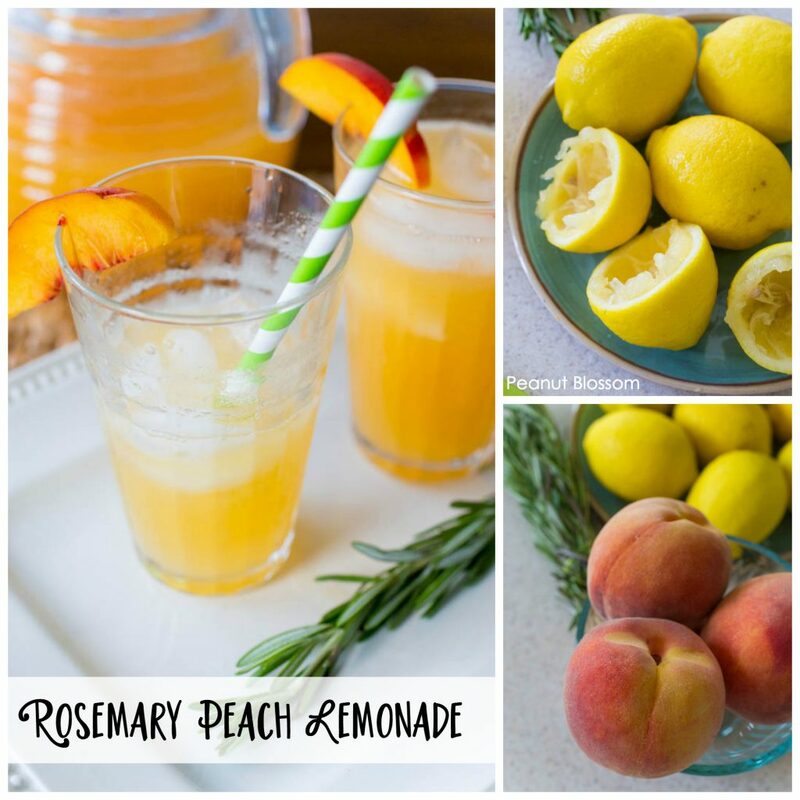 The rosemary infused peach lemonade recipe was totally easy and super refreshing. I garnished the glasses with fresh peach slices to make them extra pretty. I would absolutely keep this in my party rotation for entertaining. You could serve it as is or even add a light bubbly white wine for an elegant cocktail. In a large saucepan, add and stir to combine the water, peaches, Splenda. Add the fresh rosemary sprig and place over medium high heat to bring to a boil. Once gently boiling, simmer for 3 minutes and remove from heat to let cool. Meanwhile, juice the lemons. Pour through a strainer to remove all seeds and pulp. 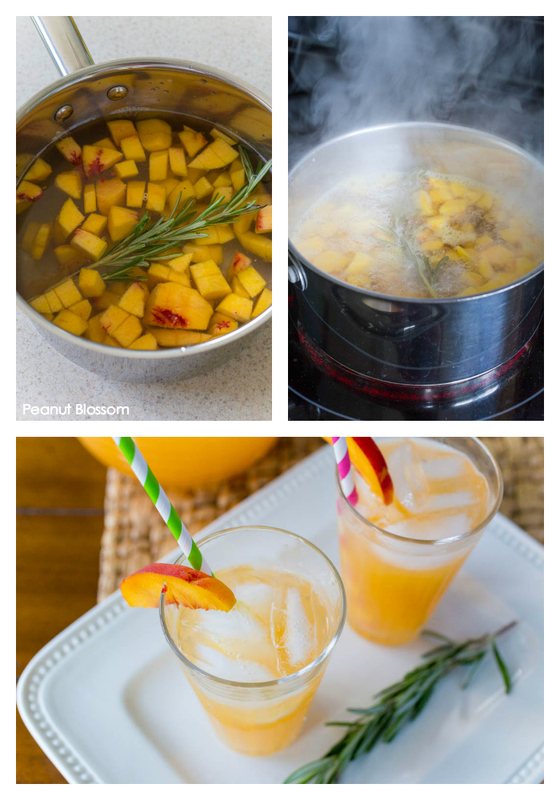 Remove the rosemary sprig from the peach mixture and then pour the water and peaches into the pitcher of a blender. Puree until smooth. Pour the mixture through a strainer to remove the pulp. 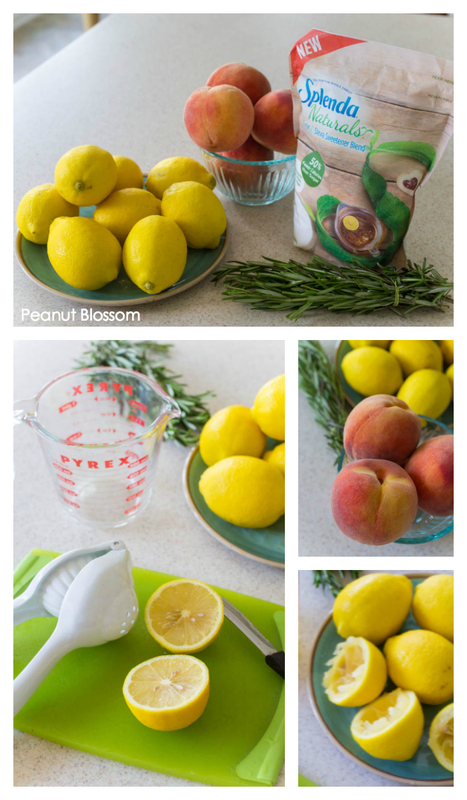 Pour the strained peach juice into a large pitcher and add the lemon juice. Stir to combine. Refrigerate for 3 hours. 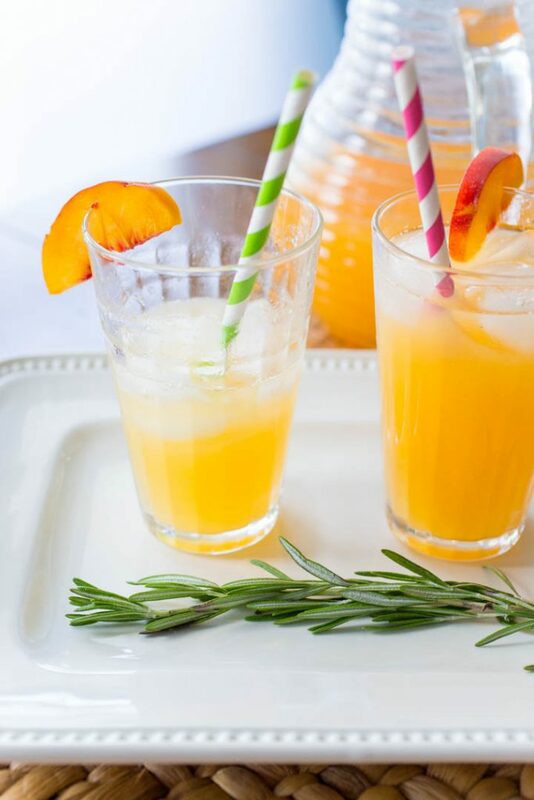 Serve over ice with a peach slice for garnish.